Wheelchair bound to walking a few hours after surgery. I am deeply grateful to Dr. Corrales, his staff, and the Casa Colina staff for taking phenomenal care of me. Dr. Corrales' skills are well beyond his years. I was walking on sunshine on day 1 and already living a very different life. Less than 2 months later, I was able to meet friends at the Mission Inn and climb over 100 steps normally. Patient noting no pain and ready for lunch! He was able to walk >350 feet on day of surgery. Dr. Corrales did a total hip replacement on this patient, Art Thompson October 23rd, 2017. In the hospital Mr. Thompson was determined to beat the walking record for the most feet walked the day after surgery, where we stopped him at over 1500 ft. He did not take any narcotics once discharged and returned to work the following week using a cane (but notes not needing it). He said his new hip has changed his life. He works at JPL on the Mars Rover where he was held many positions including Mission Manager and is currently working on the 2020 Rover as the Deputy Payload Manager. 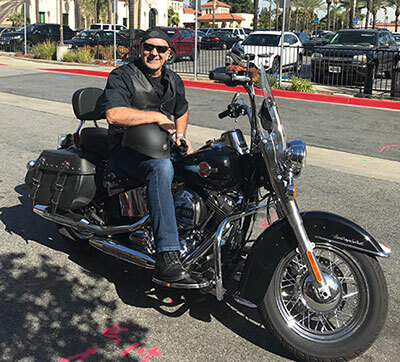 The photo attached is him on his Harley at our Reunion lunch which we host quarterly, approximately 2 months after his surgery. Since 2014, I was referred to 2 different surgeons who told me I was too young to get a knee replacement and to wait until I was 60!!! At that time in '14 that was 10 years away. Then I was referred to Dr. Corrales. He agreed I was on the young side but said I still have lots of living to do in my 50's, so why would we wait to make that happen? Wow! Finally, a Dr. who was actually on my side! Who'da thunk it? This practice really has it all going on and all the updated approaches which make it efficient and productive. From the first appointment on, all patients have access to their patient - joint team website called "Joint Coach" which is well-designed with educational videos, the team of doctors/nurses/staff who will be serving you during your journey and much more. Enough words cannot express how successful this makes the entire process. Patients know exactly what will be taking place the whole time. You are never in the dark. That gets an A+++ ! My surgery was at the newly-added Surgical Center at Casa Colina, an absolutely beautiful inside-and-out Spanish style facility. It looks more like a resort than a hospital. The staff there are the best. Excellent customer service the entire time. Very special group of people. Genuinely caring, smiling, sincere staff. Very impressed. And the food is fantastic! Suzi Johnson is the Orthopedic Care Coordinator and is a Godsend. She is the liaison between Dr. Corrales and patient and is a text or email away for questions or concerns and organizes/directs things that need to happen on the patient's behalf. She teaches a 1.5 hour class before your surgery so you are completely informed of what will be happening throughout the entire process. Very nice lady, responds quickly although I know she has to be very busy. She has a very significant role and does a great job at it! Most importantly, the talent, skill, knowledge and accute problem - solving skills of Surgeon Dr. Corrales are well beyond his years. After reading his bio on his website, you can understand how he has earned a phenominal reputation amongst staff and patients and is very highly regarded in the orthopedic world. I feel very fortunate to have been referred to this talented and highly educated surgeon. Today is my first day home from after a total right knee replacement, and I'm walkin' on sunshine. No limping!! No pain!! Already a very different life for me just one day into recovery. The check-up process via the "Joint Coach" website assures that you are well taken care of after you go home too. Sometimes "Thank you" is not really enough, but I hope they know I am deeply grateful to the Dr., his staff and Casa Colina staff for taking phenominal care of me and all the other patients. This is how a business is supposed to be run!! I have already recommended him to several of my friends who need help with joint issues as I know now they will be in perfect hands. My brownie points will soar with them too! Best of luck to all the joint sufferers reading this now. Call Dr. Corrales. You will, no doubt, end up as deeply grateful as I am now, and that's a fact, Jack! I had a full hip replacement on my right hip on October 23rd with Dr. Corrales and it has been a great experience. During my first office visit, Dr. Corrales took the time to fully explain in detail my condition and why I needed a full hip replacement. There was no pressure to have it done, he said that when I was ready I would know it. I did some research that made me comfortable that hip replacement was the correct course of action and I scheduled the procedure. It took about two months to get all my medical tests completed, medically cleared, and the procedure scheduled. I have to say that the whole process was absolutely wonderful. I was up and walking a couple of hours post-surgery. And I was home and walking around, without a walker the next day, including climbing stairs. I have experienced no post-surgery pain, ever. In fact, I didn’t even need pain medications. My only concern was that I would overwork my hip by doings physical things too soon after surgery. I returned to work part time the following week and full time the third week after surgery. I would highly recommend Dr. Corrales, his staff, and Casa Colina (the hospital). I could go on much longer, touting high well things were handled through the entire process. I can’t thank Dr. Corrales enough for allowing me to get back into life without pain. Dr. Corrales replaced my left knee in April. Up and walking the next day! Could not ask for better care, from Dr. Corrales and his whole staff. Just the best! Dr. Corrales performed my hip replacement surgery this past May 2017. I feel great! Dr. Corrales and his whole staff (including surgical team and assistant Gina) are all courteous and professional. Please take a chance if you need orthopedica surgery! You will not be sorry! Excellent doctor very caring listens to me what I have to say had two surgeries from doc Corrales my next surgery will be with him again like I said great doctor plus the staff is great too. Prior to my surgery I was in extreme pain with a bone/nerve on bone/nerve issue. As of the day of surgery my pain was gone and I now have a fully mobile life. Dr. Corrales is the best ortho surgeon that I have had the pleasure of dealing with. I have had both hips replaced by different ortho doctors (Kaiser). One was a success, but the second was not.. This last April, Dr. Corrales replaced my left knee. Best replacement yet! I'm sure he'll be doing my right knee soon. Dr. Corrales was a life saver for me. I had my hip replacement in May 2017.. I had been limping severely with ongoing pain. Friends, family and co-workers cannot believe that I am walking without a limp with no signs of having had surgery 6 months ago. Dr. Corrales and his surgical team, office staff, and his assistant Gina are courteous and extremely professional. He takes the time to explain the whole process including recovery. I am extremely satisfied with the whole experience. Having recently had a total hip replacement with Dr. Corrales I can only praise the program that accompanied my journey: required educational class, preparations to be made, equipment needed at home, what to expect day of surgery and upon release. With the Joint Coach I received daily emails asking how I was doing, pain level and advice to help me through the day. I could also ask questions. Everyone has been impressed with my progress and I give all the credit to Dr. Corrales/Casa Colina. My wife and I both received a right hip replacement from Dr. Corrales. We were well prepared for the surgery and everything went as we were told it would go.. I'm sure that Dr. Corrales does other types of surgery as well but we heard that he has done many hip replacements. The results for both of us were excellent. Follow his instructions, and you will be relieved of the pain that you had before the surgery. You will be very happy with Dr. Corrales and his team. Great work! Dr. Luis Corrales performed ACL reconstruction surgery. I am recovering very well with minimal scarring. Dr Luis Corrales replaced both of my knees one in April the other in July. For the first time in years I am pain free. I woke up after the surgery without pain and was able to go home the next day. He is very patient and thorough, takes the time to explain everything and answer all of you questions. I have been going to the office for 2 years having shots in my knees before I decided to do surgery. The office staff is very helpful. All of my questions and concerns were answered in a timely manner. I highly recommend Dr Corrales. Dr Corrales did a fantastic job. I had a partial knee replacement. Within 48 hours my knee felt like new. Dr Corrales explained the procedure and after the surgery he checked in on me explained what he had done. Great bedside manner. Dr. Corrales replaced my left knee on April 5. It is perfect! He did an excellent job. I would highly recommend him for any joint replacement. I had always feared having my knee replaced due to the stories I had heard about (long recovery, on a walker and intense physical therapy), none of this was true. I was up and walking the same day of the surgery and out of the hospital (Casa Colina, an amazing facility) the next day. The recovery was quick, the physical therapy was easy. Great doctor! Dr. Corrales did my hip replacement in April and was off of my cane in 10 weeks. First time in two years I have been without pain. He has kept me informed all of the way through surgery and recovery. He took immediate action when my scar became slightly infected (my fault) and cleaned everything up. He is very through and certainly knows his stuff. I would recommend him to anyone. I think you are God chosen Surgeon for me. I am grateful to be your patient. This is my very first surgery and I did not suffer any pain during surgery. Anesthesiologist is also a very great Gentleman, he also perform Anesthesia good for me. Thank you and May God grant your wishes and you have Peace Tranquility, Happiness & Success through out your life. My hip replacement has provided fantastic results. After the first week following surgery at Casa Colima I had less pain than I have experienced in many years. The recovery has been rapid even though I am 80 years old. I couldn't be more satisfied! Thanks you Dr. Corrales. I recommend you without hesitation!!! Thanks to the expertise of Dr. Corrales, my recent Mako robotic-assisted surgery for a partial knee replacement at Casa Colina Surgery Center was successful. It is a pleasure to be able to walk again without constant knee pain. After surgery, I had very minimal knee pain, and recovery has been progressing quickly. Be sure to attend one of his informative joint replacement seminars for thorough information. Thanks again, Dr. Corrales! Dr. Corrales helped me with his diagnosis of Metalosis in my hips from a bi-lateral hip replacement I had done years ago at Kaiser. I had been in pain for 7 years until his diagnosis. He has done hip revisions on both my hips and now I feel great again. I had seen other doctor's over the years but none of them cared enough to think outside the box or tried to figure out what the problem was. I would totally recomend Dr. Corrales for your orthapedic needs. I had a good experience with this doctor. Knee surgery, (arthoscopic for miniscus tear) was performed in Dec. 2016 after month of physical therapy without significant improvement. I had the surgery outpatient at Casa Colina. Improvement was significant the day after surgery. I was able to enjoy the Christmas holiday and return to work right on schedule after the break. Dr. Corrales is very particular about his patient's care and is attentive to every detail. I would highly recommend him. My experience with Dr. Corrales and his staff were always accommodating and met my every need. Dr. Corrales replaced my knee which is now functioning perfectly and I am pain free. I learned of Dr Corrales from a news paper article and attended a meeting at Casa Colina. I was so impressed that I made a consultation appointment. My experience from that meeting, thru the surgery, and recovery has been great. Dr Corrales walked me thru each step, and made me comfortable for the entire procedure. He gave me back the pain free use of my legs. I highly recommend Dr. Luis Corrales! I had a total knee replacement my experience of recovery was great! There is no stitches to be removed there's a waterproof bandage you can shower. Used a walker for a couple of days after that no cane no walker. It's important that you do physical therapy. My healing process and movement I have done very well! My recovery has been a good one for me ! Thank you! Dr corrales really know what he is doing! And does it well! With out any reservations, I recommend Dr. Corrales. He and his staff were 5-Star with replacing my hip. From the very first visit to follow-ups I felt well taken care of and understood every step in the process. Questions I had in between visits were handle quickly and professionally. My recovery was faster than expected and I attribute that to the great care, knowledge and abilities of Dr. Corrales and his team. Dr. Corrals is wonderful, the staff is wonderful, my whole experience of hip replacement surgery, on a scale of 1 to 10 Dr. Corrals the surgical team, and the after care get 1000. Broke every bone in my ankle and Dr. Corrales repaired it completely without pain. He kept me informed as to what was required in great detail. If anything he's overly cautious in making sure enough time goes by to allow complete healing. Highly recommend him for orthopedic surgery. On 06/29/16 Dr. Corrales performed a Mako robotic arm - partial knee replacement. I am beyond pleased with the results. Not only is Dr. Corrales a great surgeon, his bedside manner left me at ease from start to finish. In all my visits he is never rushed as is the case with many busy professionals, he takes his time to answer questions and his support staff is great. Here am I 3 weeks out from surgery and no cane is needed, and my scar is healing perfectly. Thank you Dr. Corrales!! Just had a Mako Robotic Arm Partial Knee Replacement today, perfomed by Dr.Corrales and I'm beyond pleased already. Not only is he an excellent surgeon, he is both professional while remaining approachable. He listens and his confidence left me totally at ease.His MA Albert and Surgery scheduler Valerie return all calls and provide the support necessary for a busy Dr.
Also the staff and facilities at Casa Colina surgery suites are top notch, I couldn't have asked for better care. From the admitting clerks to the very attentive nurses, I was treated like a queen. Even the food was good! The anesthesiologist was also a rock star, so charismatic and easy going which is key when "going under". Looking forward to repairing my other knee in a few months with God's will! Dr. Corrales was very understanding of my needs and any questions that I had about my surgery. Dr. Corrales performed a total hip surgery on my right hip last June and I couldn't be more pleased with the results. I was walking without a cane or walker within two weeks of the surgery. The surgery and recovery went smoothly and now I'm pain free in that hip. I will be needing a replacement of my left hip soon and I wouldn't have anyone else but Dr. Corrales perform the surgery! Also, his office assistant, Albert, was so very kind and supportive, always helping me with any concerns. Knowledgeable and well informed doctor. Caring. Listens to patient's concerns and addresses them well. He was well prepared for unforeseen medical requirements during my surgery. I think Dr. Corrales' staff is particularly strong and very caring. They put me at ease during what I thought would be a very scary experience. They were supportive during my recovery, and answered promptly any concerns I had. My mother told me about Dr. Corrales after he did her full knee replacement a couple of years ago. She had nothing but phrase for him. I have had a bad knee since about 1965 from a high school track accident and over the years I have damaged it several times. I set up an appointment with him. He answered ALL of my questions. When I left his office, I knew I had the right guy. The preparation by Dr. Corrales and his staff was incredible. I even heeled faster then expected. I had a wonderful experience with Dr. Corrales on both my surgeries. I first had a shoulder replacement then a total hip replacement and with both surgeries Dr. Corrales was very through in explaining both procedures to me. If my family or I had any questions he and his team were there to answer them. I could not have asked for a better surgeon/doctor for my procedures. 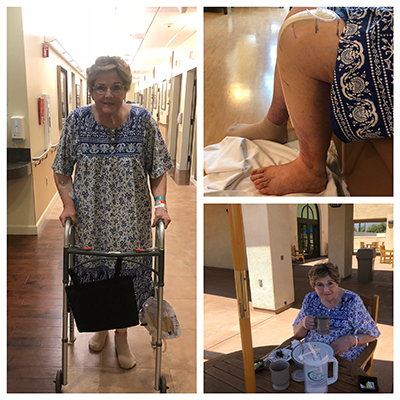 Had knee replacement surgery on my left knee, 5 Years ago, this operation was n Casa Grande, AZ 85122, and the surgery and rehabilation was good and I was very pleased with the results. On August 31, 2015, I had the good fortune to have right knee replaced by Dr. Corrales and his staff. I have never been as impressed with a Doctor, Staff, Hospital and Therepy group as DR. Corralles has with him. I have had several major operations, but none as good, with almost immediate recovery. he's a 10. I travelled from Northern California to see Dr. Corrales per a good friend's recommendation. I am very thankful for Dr. Corrales. I am a dancer/dance teacher who has had hip pain for 8 years. All other doctors rushed me through appointments only to tell me I need to stop dancing. Dr. Corrales listened to my symptoms and offered me the best solution possible. I am happy to say because of Dr. Corrales I will be getting a much needed surgery and am looking forward to a life without pain. Thank you! Dr. Corrales did a hip replacement on me. The hip is great, no problems with it. My wife needs a knee replacement and she too will go to Dr. Corrales. As well as being a terrific surgeon he has a great staff of people who keep everything moving and make sure the patients are well taken care of. Dr. Corrales is the most caring, considerate Dr. I know. He spends time with me and answers all my questions. He did my rotator cuff surgery a year ago and in January he is doing a knee replacement. I trust him and feel very good about his doing my surgery. A physician's expertise is my prime consideration when contemplating surgery. Dr. Corrales met my highest expectations. During subsequent physical therapy, my therapist noted that his post-surgery patients did exceptionally well. A very great experience all around, a wonderful and skilled physician and a great staff working behind him. I highly recommend Dr. Corrales. Dr Corrales replaced my left hip, this was the first operation I have ever had and with his experience he was very confident and reassuring, everything went well and if I ever need my right replaced (I have arthritis) I will absolutely call Dr. Corrales again! Struggled with hip pain for 8 years, no other doctor took the time to listen to my symptoms and offer a helpful solution. Got me the help I needed and will be getting a much need surgery at the beginning of next year! Thank you so much! Dr. Corrales did a partial knee replacement in Nov. of 2016, and I could not have gotten any better results. I am 76 years old, and I was beginning to limit my traveling and other activities due to severe knee pain. After surgery and physical therapy at Casa Colina, I am resuming many of these activities. I cannot praise him, his staff, and my physical therapist enough times!! Dr. Corrales is the best at what he does. Hand down. He is very thorough in diagnosis and his surgery skills are the best. I had two total knee replacement surgeries and am very happy with the results. Dr. Corrales did a knee replacement for me about 2 years ago. I lie in a retirement community where a large number of residents have had similar surgeries. No one has recovered as quickly and as effortless than I have. I have had no difficulty with the replacement and recommend him as my results were tremendous. In 2014 I knew I needed a knee replacement. My former orthopedic surgeon referred me to Garey Orthopedic; specifically Dr Corrales. Dr Corrales made the decision I did need the knee replacement. Dr. Corrales is very thorough and made sure everything was done for the best outcome possible. I don't think it could have gone any better. Dr. Corrales performed a partial knee replacement 3 weeks ago and I am so pleased with the outcome. I was apprehensive, especially due to the fact that I need to have my other knee replaced; however, my experience has left me feeling so hopeful that a "normal" active lifestyle is in my near future. Surgery went perfectly and my recovery is going so well that I'm walking without a cane already. My only regret is that I waited so long. Dr. Corrales has provided me with an opportunity to embark on a "painless" life. Cannot wait to schedule my next surgery! Dr. Corrales performed a right hip total replacement in March, 2016 and I am thrilled beyond words with the results. He kept me pain free right after surgery and all thru my recovery, He is now performing total hip replacement surgery on my left hip in a month. He is an excellent surgeon, very focused, serious and concerned. Also his office assistants, Valerie and Albert were wonderful during all of this. Caring, thoughtful, understanding. Of course a skilled surgeon. Recommend to everyone, and a really nice guy. Top notch state of the art Total Knew replacement Expert!!!!!! He is absolutely amazing! Weeks ahead of recovery, owe him my utmost respect! 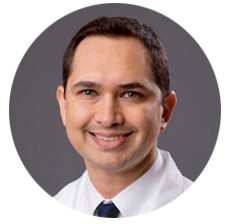 Dr. Luis Corrales is an up and coming joint replacement doctor in the USA and the world. He holds seminars for new and older doctors to help them become aware of the new procedures in the 21st century. During my initial visit with Dr. Corrales, I knew I was in great hands. He drew us a picture of a reverse shoulder. He told us pros and cons about the replacement. He was very "right to the point" about the limitations I would be facing. During follow-up appointments, he reminded me about them so I would get a mind set about them. He ordered Physical Therapy after 6 weeks. I had it for 3 months. I am able to reach the top of my head to wash my hair. I can't reach the top of my other shoulder yet. I can do many things, but not all my house cleaning and activities. It has taken me a while to get it in my head what I can not do. But I have found ways to get around them. I'm looks at having my knees replaced. But not soon. He had me get a second opinion about my shoulder as well as for my knees. If you want a doctor who right up front with you and you can listen and follow his guidance, than Dr. Luis Corrales in Pomona/ Rancho Cucamonga , California is for you. I was most fortunate to find the perfect Surgeon to replace my knee. He was serious & focused. I intended to excel and earn my new knee. All preps. went smoothly. I had my surgery thanks to this gifted surgeon and his super crew. I made steady progress with rehab. Four months now, I'm so pleased with my lower blood pressure , weight loss & 2 miles a day. My husband says my "2015 L.A.C. Model" knee, has wiped the pain from my face ! Thank you Dr. C.
Dr. Corrales performed surgery replacing my hip. He is a very compassionate surgeon with wonderful educational and professional experiences. His highly professional demeanor and patience was reassuring. I feel very fortunate to have had him as my surgeon and in fact, have recommend him to a friend. Caring. Knowledgeable and well-informed doctor, supported by a great staff. Look no further for a great orthopedic surgeon. I felt well taken care of, both before and after my surgery. So thankful for Dr. Corrales. He got me the help I needed with my hip. Dr. Corrales performed a full knee replacement, replacing a previous knee replacement I received in 2008 by another doctor. The experience and results of the two operations were like night and day. Dr. Corrales and his staff took great care in pre-operation preparations and took the time to answer any questions and provide me with easy to understand answers. Post-operation care is equally impressive. My knee hasnât felt this good in over 15 years. I highly recommend Dr. Corrales. After two "Total Knee Replacement" by Dr. Corrales, I am very satisfied with the procedures. I only have positive feedback for Dr. Corrales and his staff. 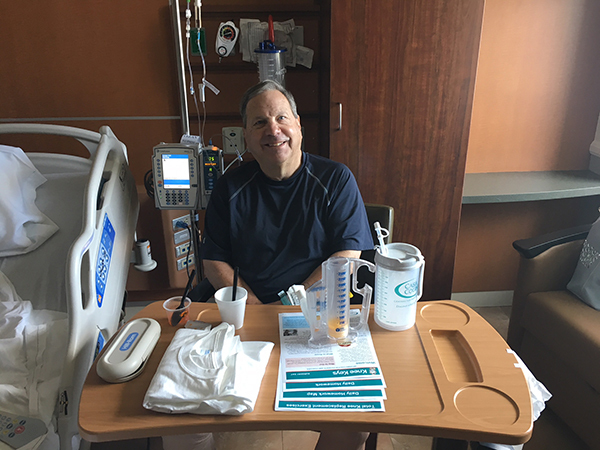 Dr. Corrales spends adequate time during patient visit. He is very informative and gives clear explanations to questions. The time waiting to see Dr. Corrales is worth the wait. I received a total hip replacement from Dr. Corrales and the results were flawless. Both Dr. Corrales and each member of his team were caring, professional and outstanding in the execution of their jobs. I highly recommend Dr. Corrales. I wouldn't see anyone else.